WHEN I FIRST MOVED OUT TO THE SOUTHWEST, I didn’t think I would be encountering much Hoodoo like we see in the Louisiana. After all, it is Native American and Latino cultures that predominate out here—swamps and other bodies of water are conspicuously absent. The ground is dry and arid and there is a marked absence of greenery; instead, dust devils and tumbleweeds abound. Granted, it is not like this everywhere in the state of Arizona, and that is one thing I love about it here. There are mountains and forests and high deserts and low deserts, dry river beds, lakes and rocks and stones of all kinds. In fact, it is geological heaven out here. 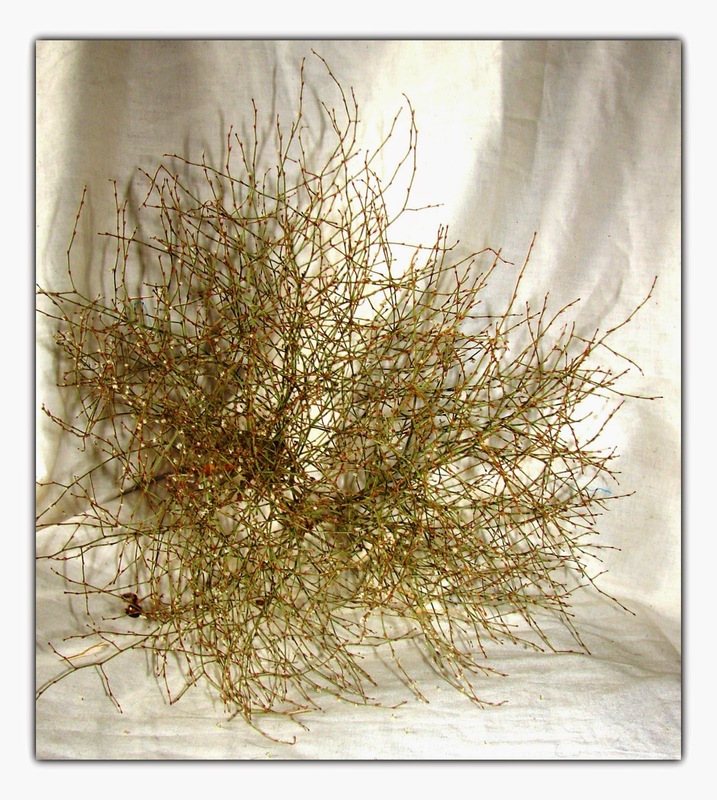 The icon of the American southwest, the tumble weed, however, is actually not American at all. Its origin is in Russia, and apparently made its way here sometime in 1873 or 1874 vis-a-vis a contaminated shipment of flax seeds. The seeds were sown on a farm in South Dakota and the rest is botanical history. Called Russian thistle or Salsola, each mature Salsola plant has over a quarter of a million seeds on it, and each seed is protected by tiny thorns. Trust me, they are impossible to touch without being stuck in a nasty way. Tumbleweed is like the cockroach of the botanical world. It is impervious to all manner of destruction, and if you enter into a battle with it and think you will win, you are sadly mistaken. They come back bigger, badder, and stronger than ever, with a million tiny thorny troops on their trail. Tumbleweeds disconnect from the earth once they die and give themselves to the wind which blows them around the country, with no real rhyme or reason. They come in all sizes and shapes and some folks have taken to using them as decoration. I’ve seen snowmen made from them and created in various outdoor artistic folk sculptures. People making art out of tumbleweeds have ceased to fight the futile fight, instead choosing to make lemonade out of the lemons. Using the Law of Similarities, we can apply these natural observances as magickal correspondences for tumbleweeds in hoodoo and rootwork. In hoodoo, tumbleweeds can be used to make a person move from place to place, dry up and whither away, become isolated from others. Or, they can be used to spread something far and wide, whatever that something (your intention) may be. Even better is their use in defensive and offensive magic. They are indestructible, regenerate at unprecedented rates, and hurt when you come in contact with them. Their seeds (your ideas or intentions) cannot be remove from them. I find the best way to work with them is to break them down into small pieces and use in defensive magic. I have been blessed with the seeds of the Russian thistle in my yard and I have harvested them and bagged them. If you would like some, I sell little bags for $10.00 by special request. Your other option is to get out there and find your own, get stuck up and earn your scars and stripes yourself. 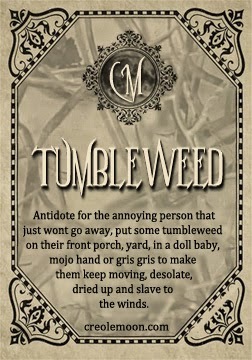 Contact me on my FB page if interested in adding some tumbleweed to your conjure. 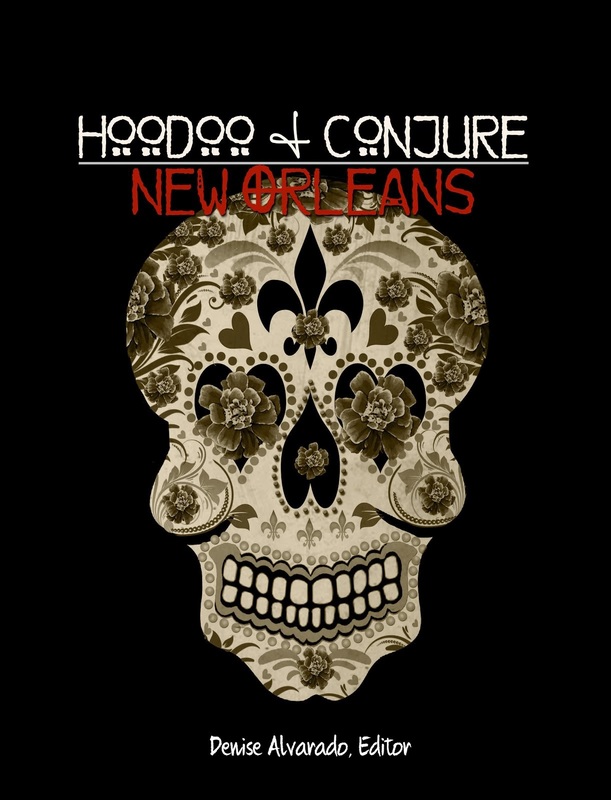 *Article is excerpted from Hoodoo Almanac 2014 and 2015, copyright 2014 Denise Alvarado, All rights reserved worldwide.